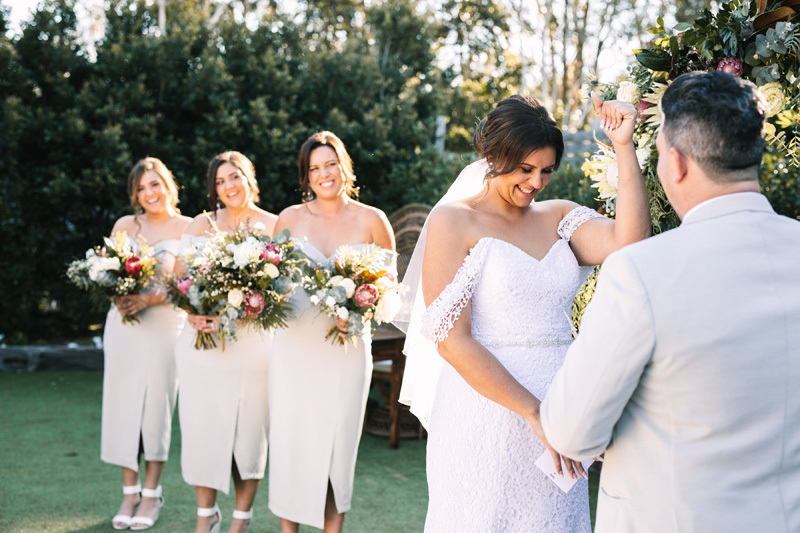 Are you on the hunt for a celebrant that will bring good vibes and a laid-back energy to your big day? 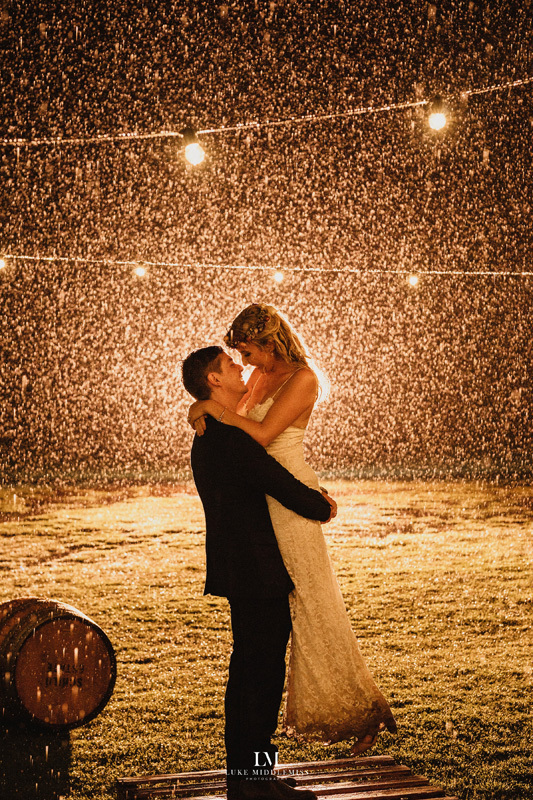 Well, you just have to check out the lovely Rachel from Two Small Words. 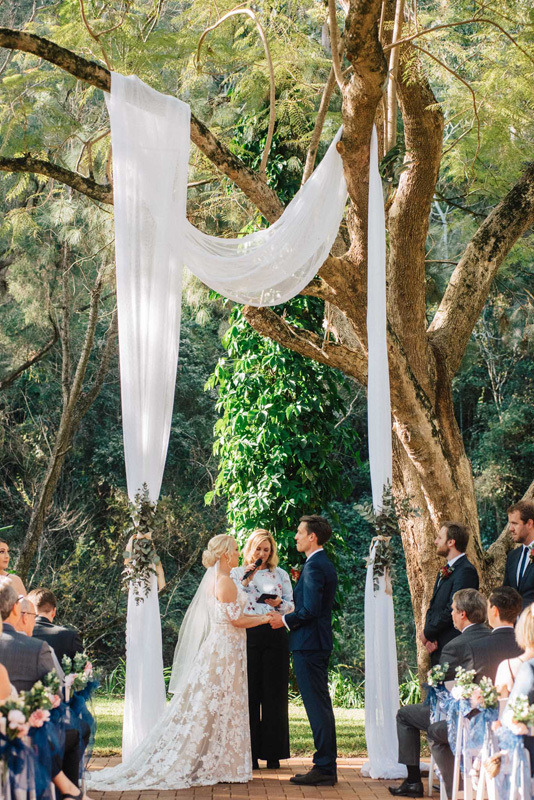 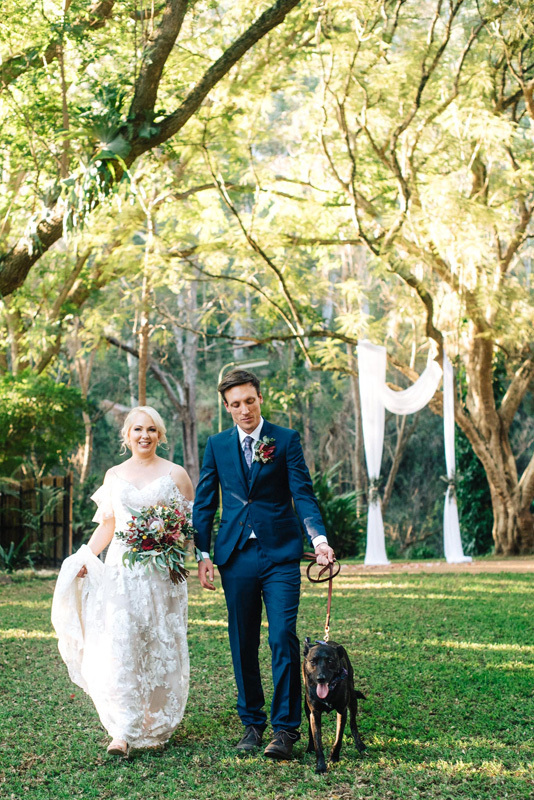 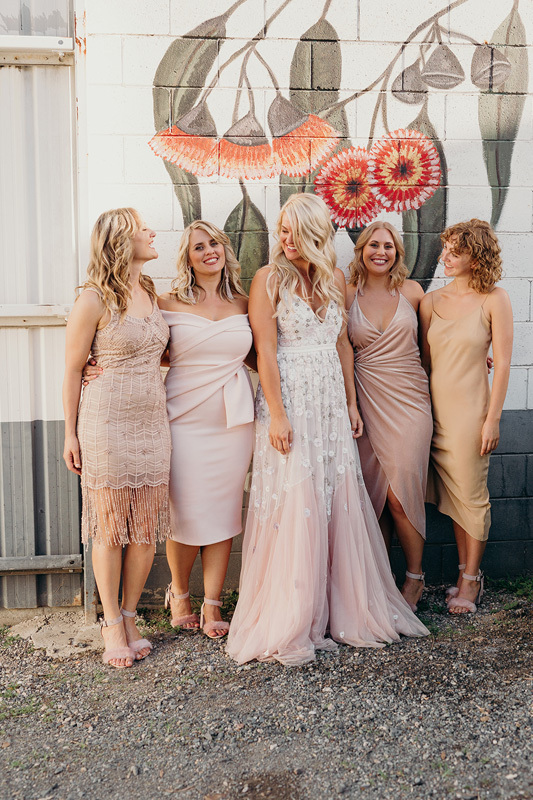 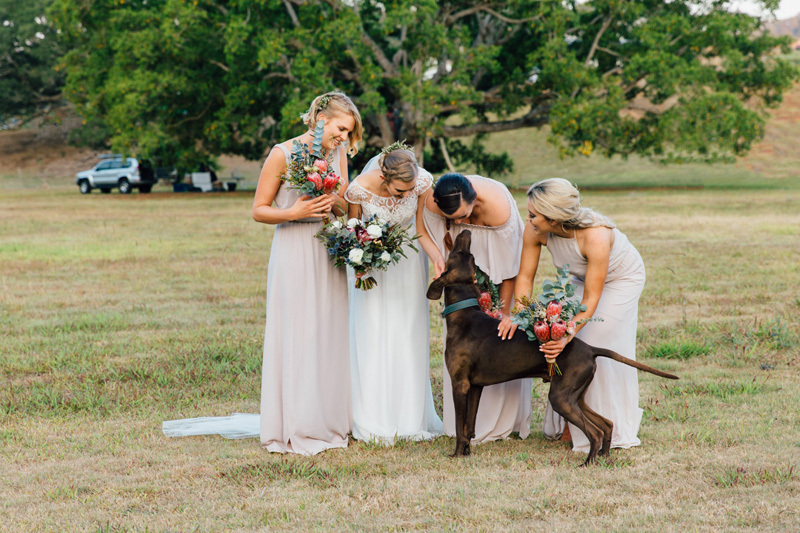 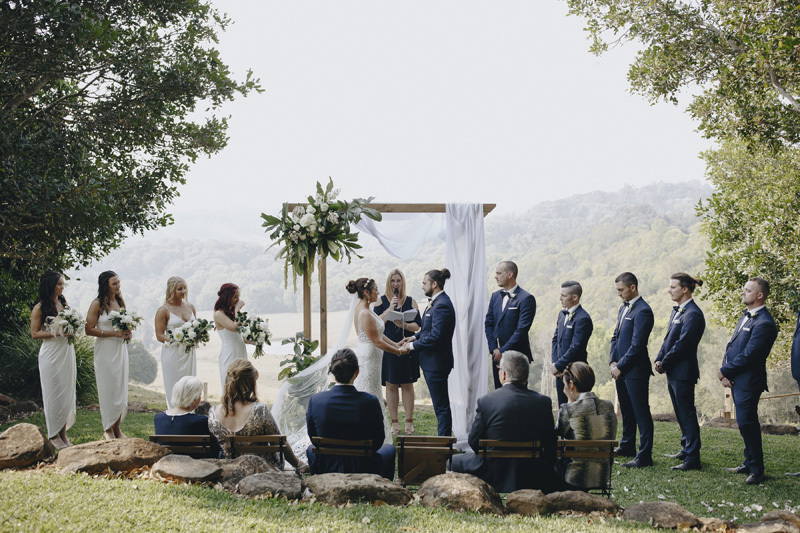 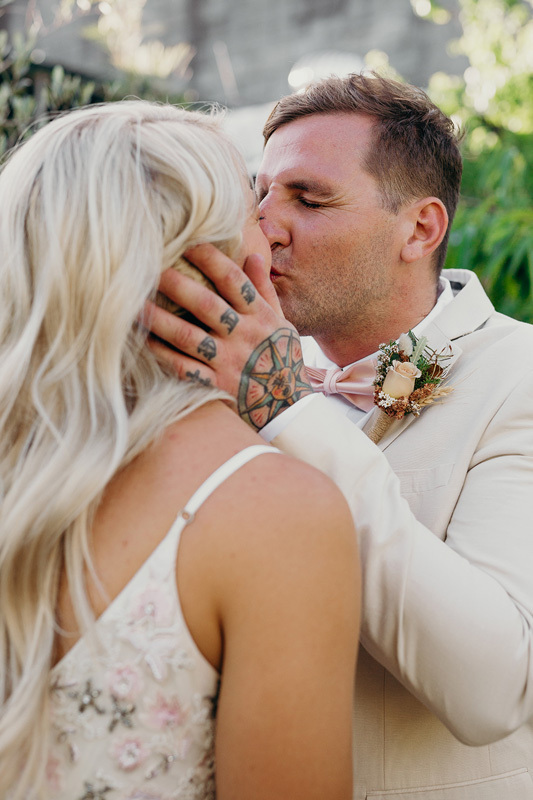 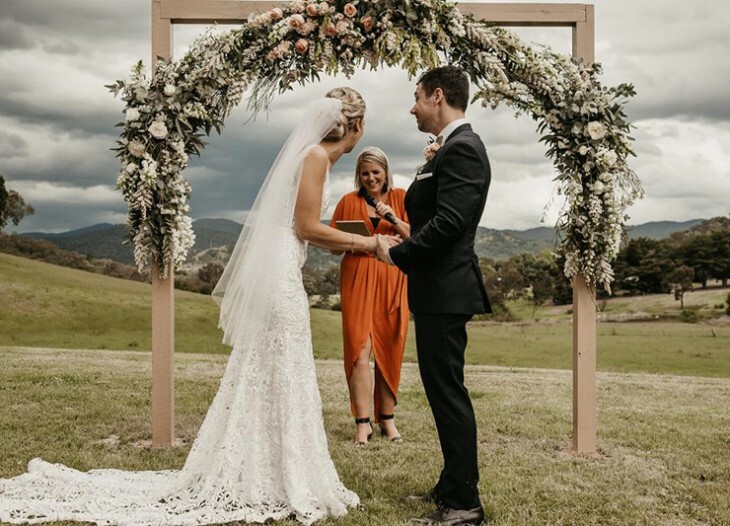 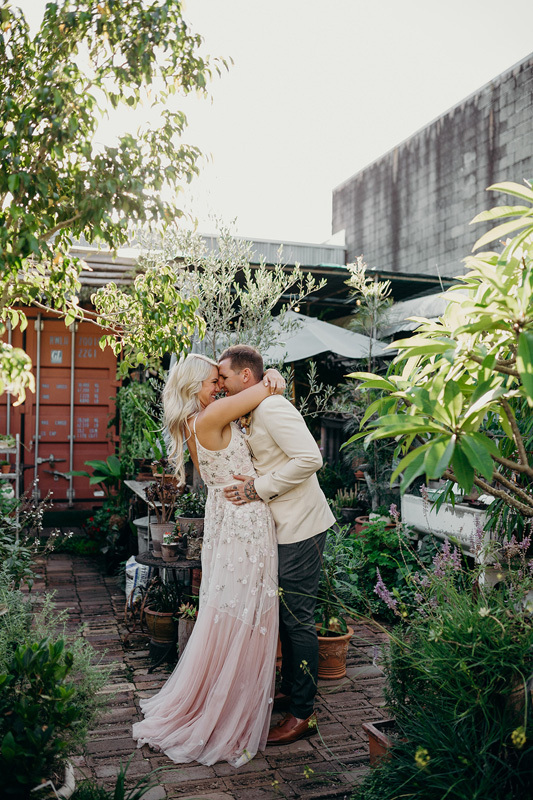 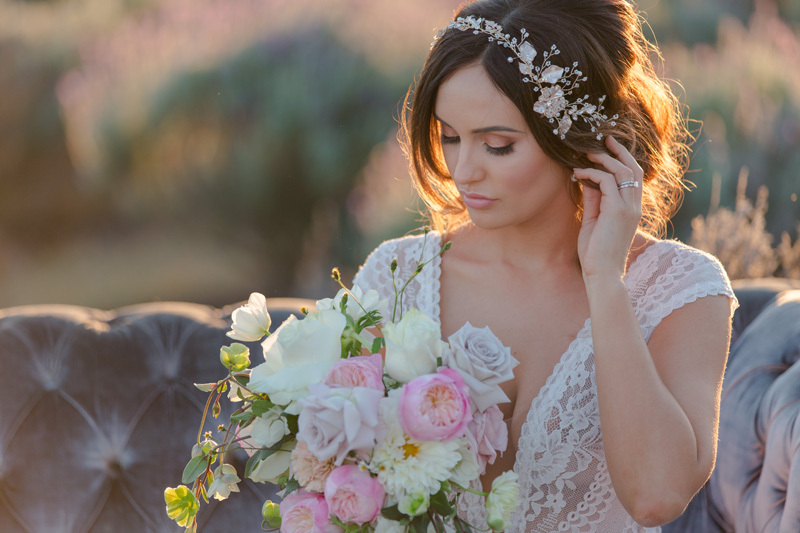 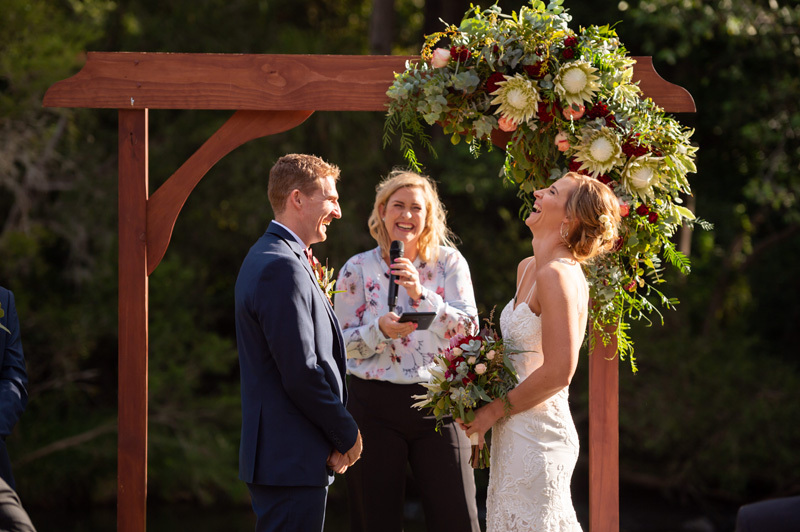 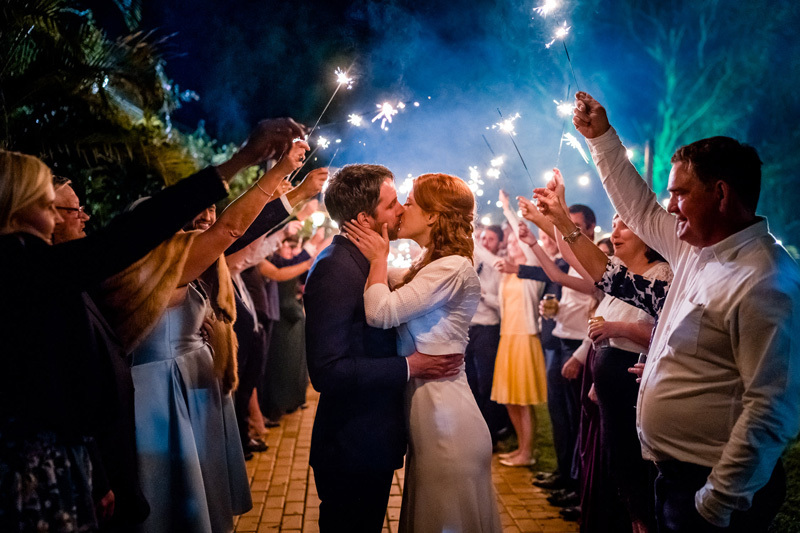 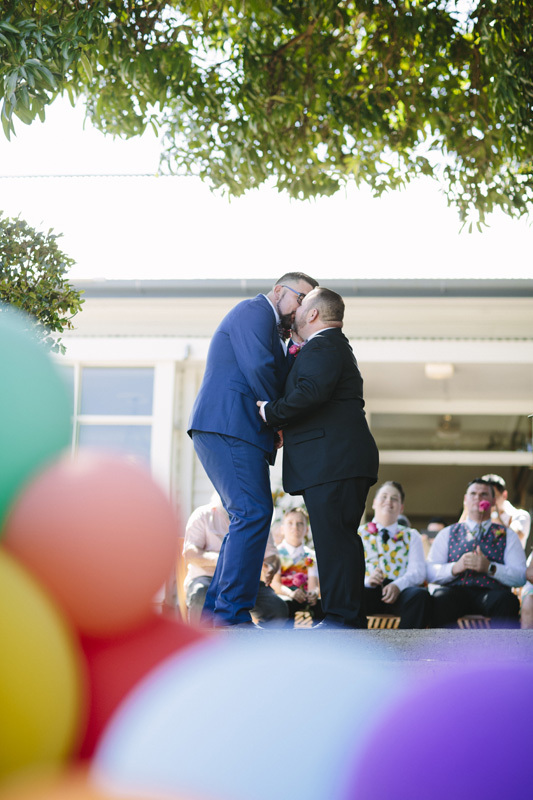 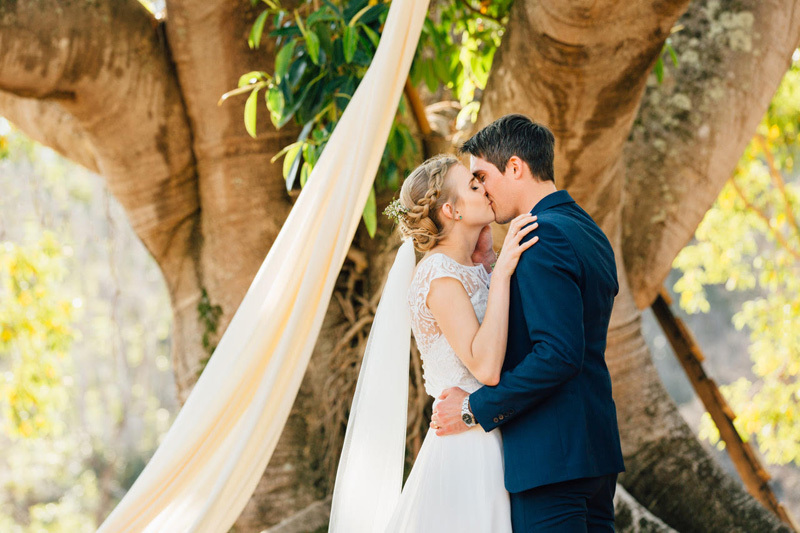 This Queensland-based celebrant seriously knows how to connect with her clients, forming lasting friendships that will leave your guests wondering if she’s one of your long-lost besties! 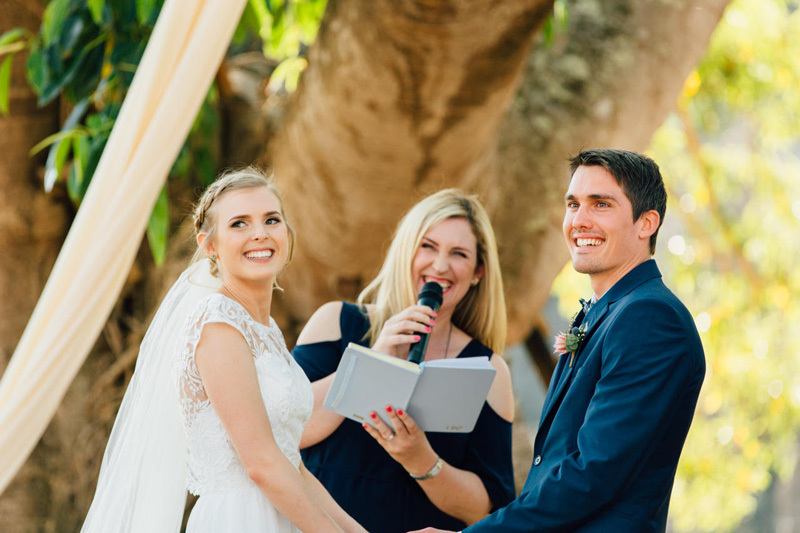 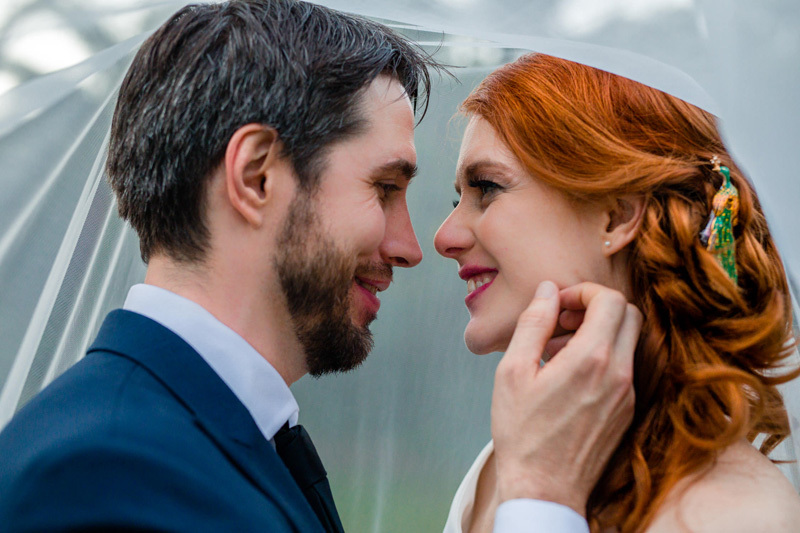 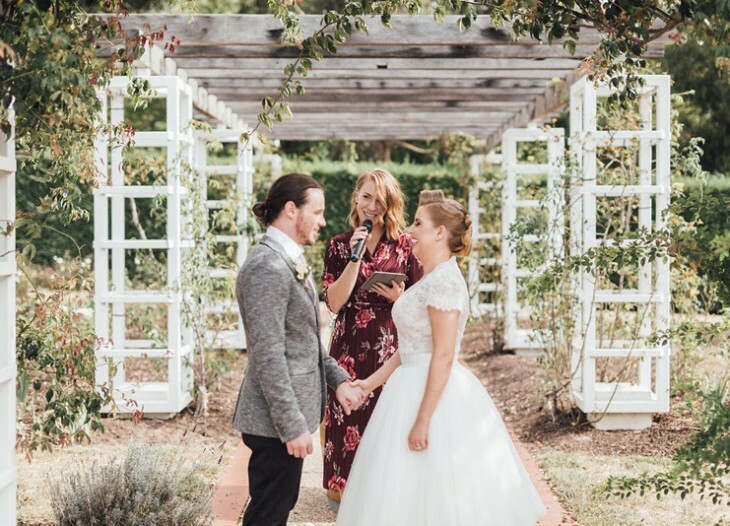 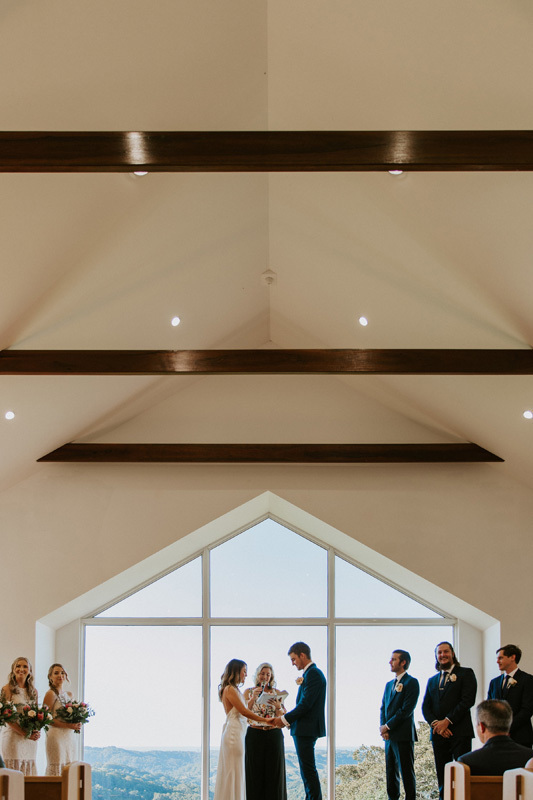 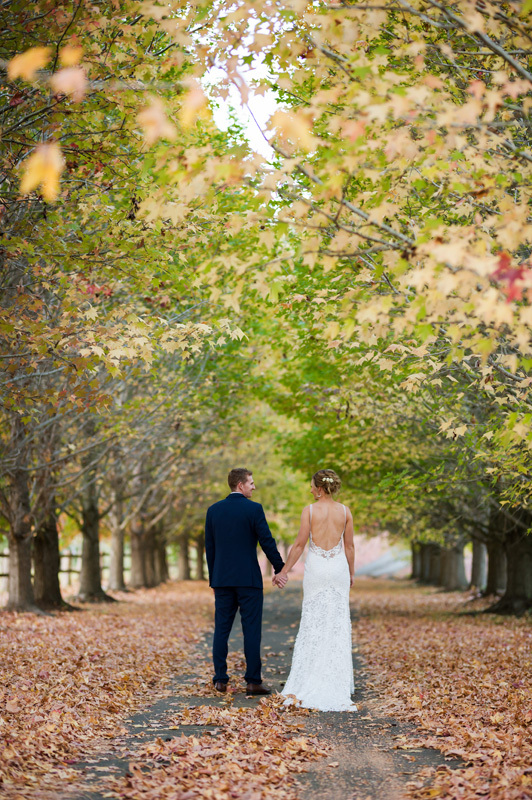 So, if Rachel from Two Small Words sounds like the perfect person to help officiate your big day, we highly recommend you reach out and say hello! 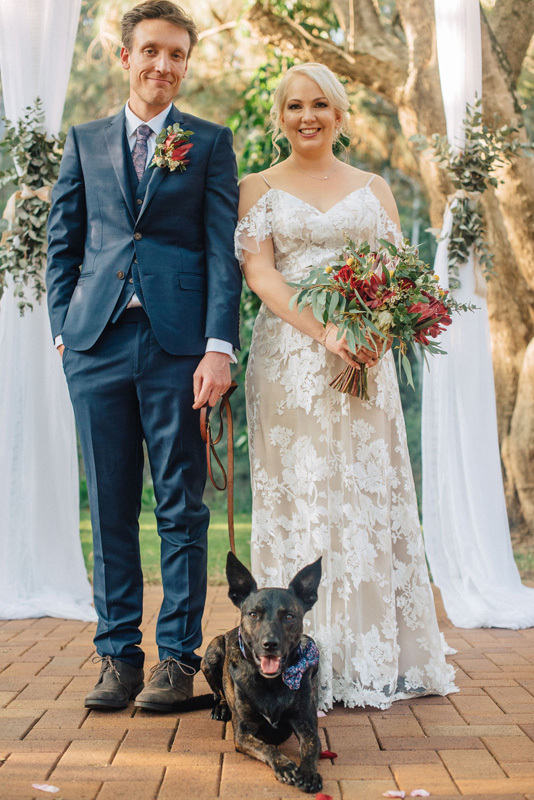 I am the kind of person you want around in an emergency (as long as it doesn’t involve cockroaches) and the most loyal friend you’ll ever make. 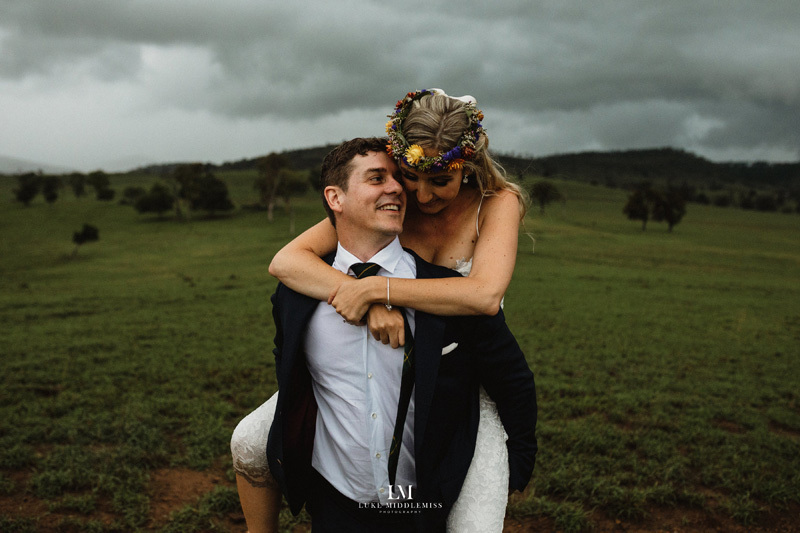 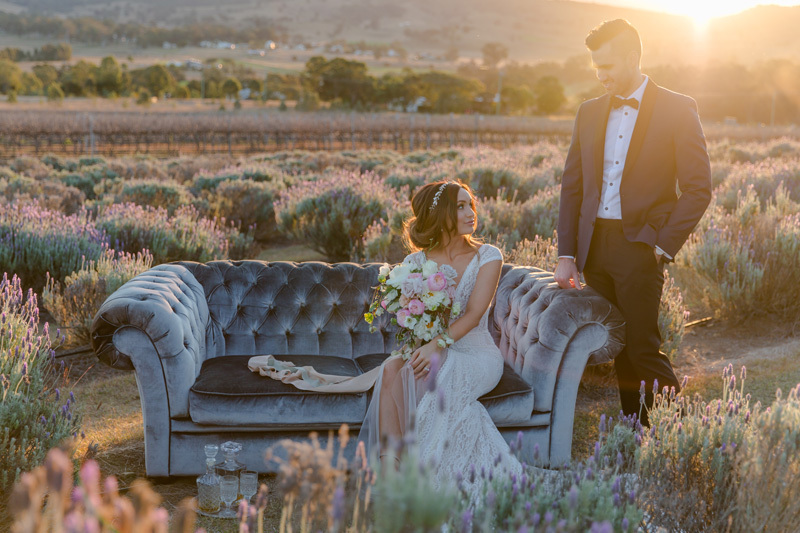 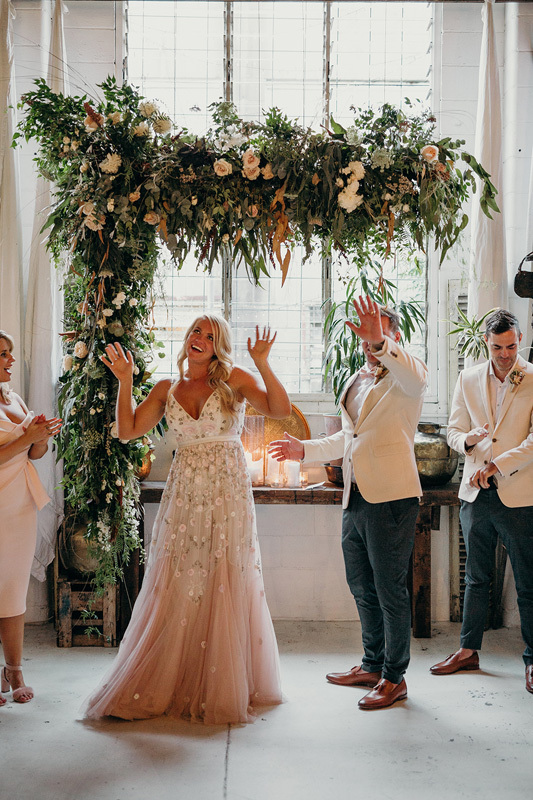 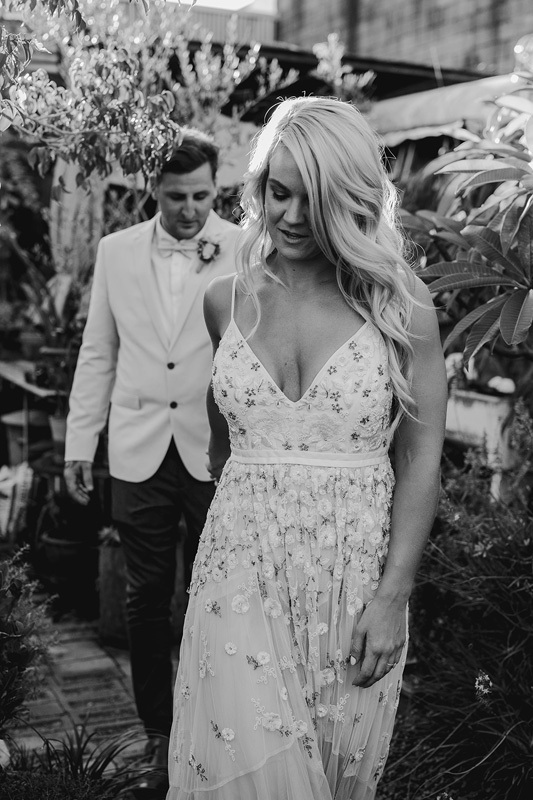 My favourite kind of wedding involves laid back couples who like to mix some humour with their romance, can take a bit of teasing, and want a modern twist on tradition. 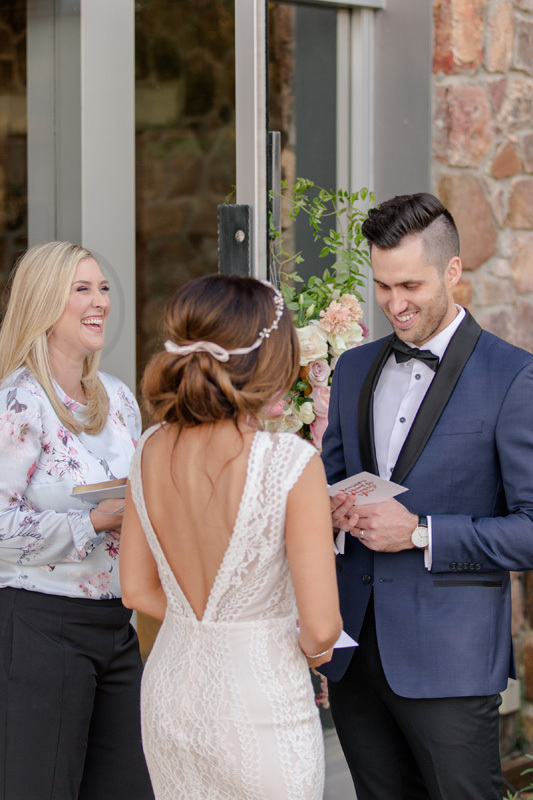 I like to break any nervous tension with some giggles but I also think that the words that are said should be significant and meaningful as well. 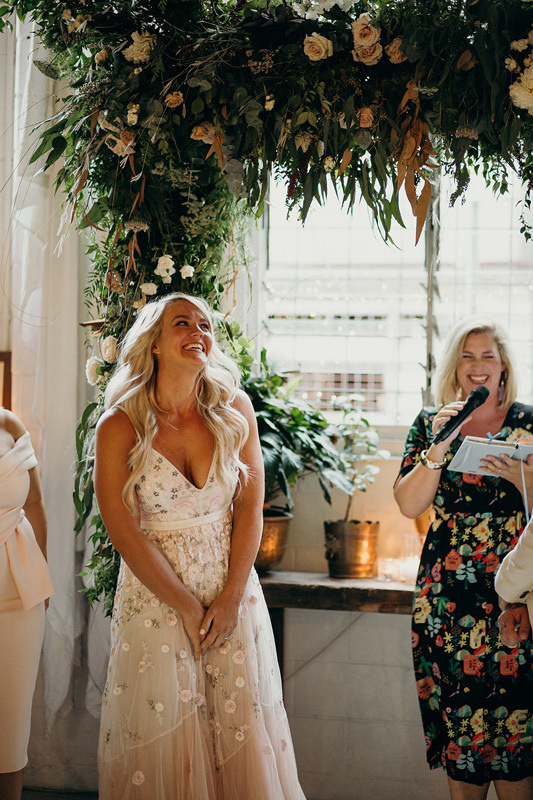 I go to great lengths to ensure that your ceremony is a true reflection of who you are and leaves everyone wondering how long we’ve been friends. 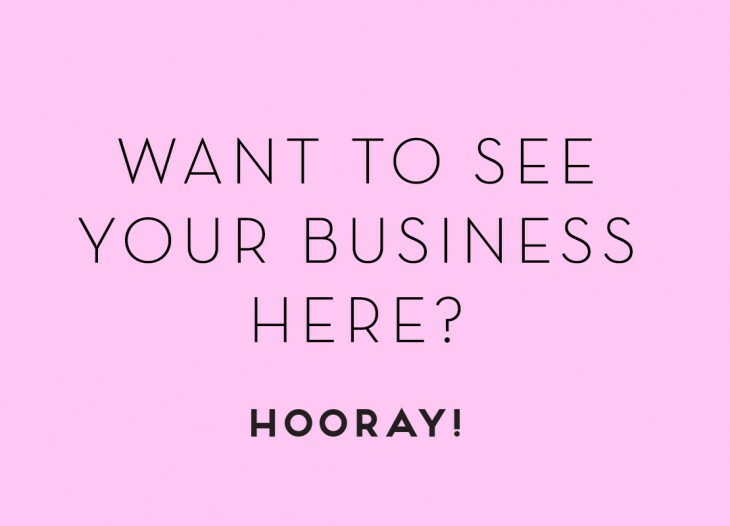 If you would like to contact Two Small Words, reach out by emailing Rachel at Rachel@twosmallwords.com.au or calling 0412 532 050.